that there be a transfer of 225,000 Arabs and 1250 Jews. So far we have been looking at the words of Zionist leaders that were for most part hidden from the public arena. With the Peel Commission recommendations the question had to become public. Conventions had to be held. The rank and file needed to be consulted and won over. Fellow Jews who had more respect for the rights of the Palestinian Arabs also needed to be persuaded and won over. The Peel report was debated by two of the highest organizations of Zionism. The final outcome was an emerging consensus that the two state proposal be rejected (the whole of Palestine should be given to the Jews) while the proposal for mass transfer of the Arab population was agreed upon by large majorities. Wherever possible I have linked names to their Wikipedia pages so readers can assess the level of influence and standing each person had within the wider community at the time. It is important to know who many of these voices are but to provide details in the post itself would have risked losing the theme in a mass of web-page words. Better known as Poalei Zion, this was the highest forum for the dominant Zionist world labor movement. It was closely linked with the Mapai political party that dominated Israeli politics until 1968. 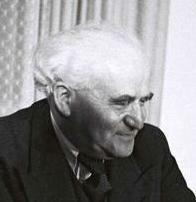 David Ben-Gurion was a prominent leader in both organizations. The proceedings of this convention were edited and subsequently published by Ben-Gurion in 1938. All quotations are from these proceedings. Ben-Gurion and others in their respective presentations to the convention went to lengths to distinguish between the concepts of “transfer”, “dispossession” and “expulsion” and to stress the morality of such a transfer. “Transfer” was not the same as expulsion. The Commission’s report, Ben-Gurion made clear, did not speak of “dispossession” of the Arabs but only of “transfer”. It is not fair to compare this proposal to the expulsion of Jews from Germany or any other country. The question is not one of expulsion, but of organized transfer of a number of Arabs from a territory which will be in the Hebrew state, to another place in the Arab state, that is, to the environment of their own people. As for the compulsory transfer . . . I would be very pleased if it would be possible to be rid of the pleasant neighbourliness of the people of Miski, Tirah and Qaiqilyah. Bankover stressed to delegates that the Commission’s report implied that any transfer was to be undertaken voluntarily. Compulsion was against the intent of the report. 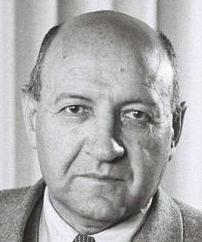 Given that Bankover did not believe the British would risk further riots and bloodshed by enforcing Arab transfers. He rejected the report’s appeal to the Turkish-Greek transfers as a relevant case-study: these transfers were in effect by force and certainly under threat of being killed if they did not move, he said. would forced transfers be practical? would forced mass Arab transfers be adequate compensation for the Jews giving up their aspirations to have the one and only state over all of Palestine? did the Peel Commission recommend transfer far enough afield? If the Arabs were only moved next door into Transjordan then the expansionist hopes of the Jewish state would be limited. Should not the Arabs be transferred to Syria and Iraq instead?